Sunday, August 25, 2019 * 8 a.m.
​Preferred method is online (click button above). Pre-registration also accepted via email or mail-in form. Entry fee is FREE for all pre-registrations. Post-entry fee $25 per rider. All information must be complete to qualify as a pre-registration. Join the nostalgia . . . This is a country fair horse show the way you remember it. 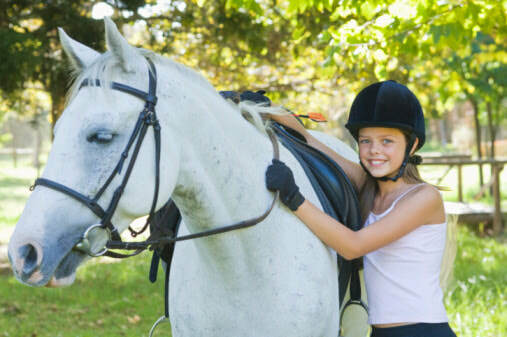 Our horse show at the Terryville Lions Country Fair in Terryville, Connecticut, offers a rare opportunity for fun and learning for riders and horses of all ages and ability. This is a very friendly environment focused on your enjoyment and safety. We welcome back Melissa Lambrecht, who returns this year to judge the show. 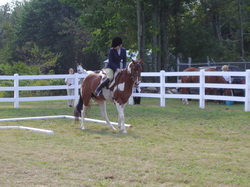 Our event is capped off with Gymkhana classes in the afternoon. Registration includes admission to fairgrounds for rider and one groom. Do you have ideas and suggestions for ways to improve our event? Planning session usually in October. If interested in attending, please send an email.